Lucy and puppies are all in perfect health. 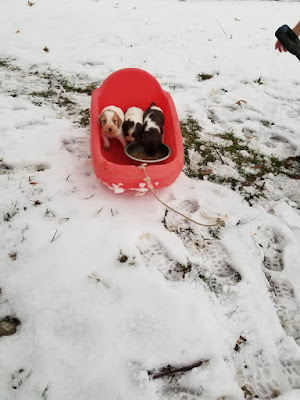 Puppies will be ready to go home January 13, 2018. Please read about our breeding program here and contact me if you'd like to discuss this litter.